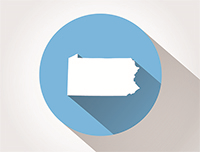 Pennsylvania Foundation Stats, is a new informative resource that provides a view of the philanthropy landscape for our state as a whole and a deeper look into three distinct regions of Pennsylvania. This online tool is a joint effort of Northeastern Pennsylvania Grantmakers and our colleague funder associations in the state – Grantmakers of Western Pennsylvania and the Philanthropy Network Greater Philadelphia. 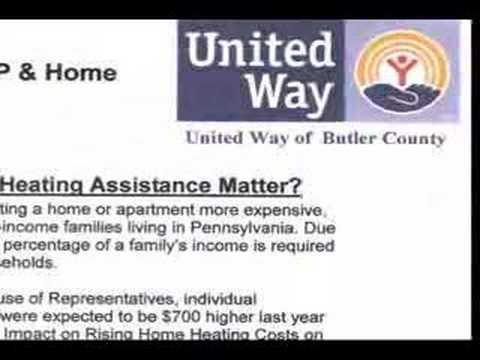 Giving to Pennsylvania by all foundations, regardless of location. All data in the dashboard is sourced from Foundation Center’s databases of philanthropic information, and is an extension of the “Get on the Map” campaign, a national initiative to improve the quality, accuracy and availability of public data about philanthropy by encouraging funders to electronically-report their grants data in real time. Pennsylvania Foundation Stats represents a groundbreaking collaboration among the state’s three philanthropy-serving organizations – Northeastern Pennsylvania Grantmakers, Grantmakers of Western Pennsylvania, and the Philanthropy Network Greater Philadelphia– and is made possible through a partnership with the Foundation Center and United Philanthropy Forum. We are proud to be leading this important transparency and knowledge sharing effort as Pennsylvania is among the few states to pilot this new tool! There were more than 6,500 foundations in the state with combined assets of $35.2 billion and giving of $2.5 billion. Education continues to be the top funding priority for Pennsylvania foundations, followed by Health, Human Services, and Arts & Culture. 6,624 non-Pennsylvania based foundations awarded 48,352 grants totaling $1 billion to Pennsylvania recipient organizations. See the top 25 out-of-state funders. The top population groups benefiting from Pennsylvania giving were Children & Youth followed by Economically Disadvantaged. See more population focus areas here. Northeastern Pennsylvania was home to 230 foundations carrying $601.9 Million in assets, giving a total of $43.1 million. 667 Non-Northeastern PA Foundations awarded 2,754 grants, totaling $44.7 million to recipient organization for our region’s enhancement. See the top 25 out-of-state funders. Non-Northeastern Pennsylvania Foundations awarded 78% of the dollars to recipients in Northeastern Pennsylvania (mostly to Educational Institutions), while 22% was awarded from Northeastern Pennsylvania based Foundations. 47% went outside of Pennsylvania but within the United States. Education, Human Services and Health are the top three funding priorities for Northeastern Pennsylvania based Foundations, making up 55% of the total giving. The top population groups benefiting from Northeastern Pennsylvania giving were the economically disadvantaged followed by children and youth, at 35% and 28% respectively. See more population focus areas here. Does the data look incomplete? It is important to note that the most complete data is shown under 2015, as data for the last two years is still being collected by Foundation Center. Foundations can contribute their most recent grants data easily, and in doing so, strengthen the accuracy of this overall picture of Pennsylvania philanthropy. CLICK Below to view the Pennsylvania Foundation Stats dashboard! NOTE: Variances in the giving data may be due to: missing, unavailable or incomplete data (e.g. foundations may report grants data but not updated organization-level fiscal data); shifts in collection and processing capabilities at the Foundation Center; and variations in the baseline data included in the aggregate statistics (e.g. Public charities are excluded in the foundation data in tab 1). For more information, see the Dashboard “About” page.